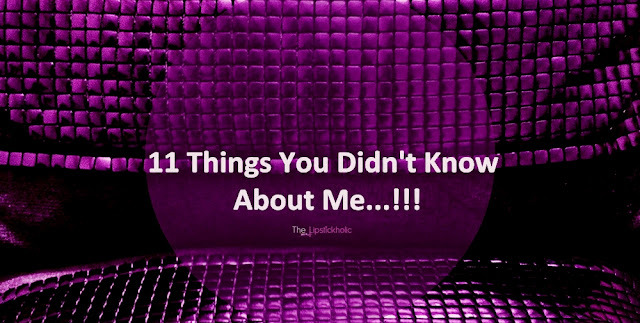 Tag Post: 11 Things You Didn't Know About Me...!!! - Answer 11 questions asked by the blogger who tagged you. - Give those bloggers 11 questions that they will have to answer in their tag post. Since Ayesha tagged me most recently, therefore I will be answering the questions she asked me for this tag post. Ans: In my leisure time, I usually work on my blog pictures or pending posts. Other than that, I talk to my friends, surf the web and listen to some good music. I also prefer watching a good movie if I have enough time at night. 2. How do you organize your makeup? Ans: I have shared pictures of my vanity and acrylic drawers many times on my Instagram and facebook page. I like to keep all my things including makeup all set, neat and well-organized. As for my makeup, I have my vanity and few acrylic and other organizers. I usually keep the moisturizers, primers, foundations, perfumes and body sprays that am using these days on the top of my vanity. 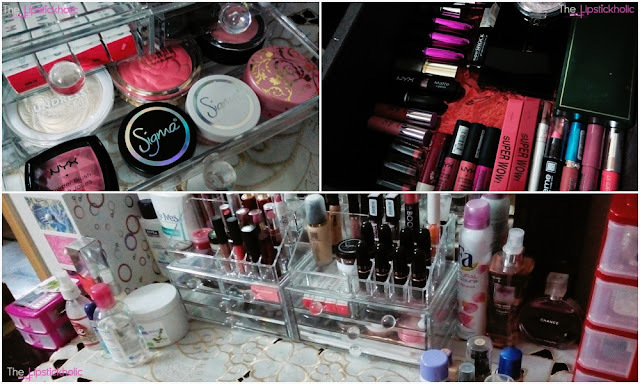 I keep the blushers, highlighters, eyeliners, lip pencils and many of my lipsticks in the two acrylic organizers. Then in the the drawers of my vanity, I have things like blush palettes, eye palettes, lip crayons, lipsticks, makeup brushes and products that are under testing phase. In other organizers/drawers I keep things like false lashes, mascaras, and things that I don't use so often. So I keep my makeup organized in a way that it looks good as well as is easier to find and use. 3. Which makeup brand is your favorite? Ans: Naming just one brand as my favorite is a little difficult. There are many brands that I love for different products. However if I still have to name one brand that I love overall, that would be Makeup Revolution. I love almost all the products that I have tried so far by this brand. 4. Your favorite movie or a book? Ans: I do read but not a lot. I prefer watching movies and have many favorites. Still to mention one, I would name The Great Gatsby. From story to set designs, costumes and background music, I love everything about this movie and can watch it over and over again. I even bought the wet n wild fergie collection lipsticks just because of my love for this movie. 5. Is there someone you wish you looked like? Ans: To be honest, NO. I never wished to look like someone else. I like the way I am and I would never wish to look like anybody else. 6. How do you calm yourself after a bad day? Ans: After a bad day, praying is the best remedy. Speaking to Allah makes you feel so much better and calm. Other than that, yes I do talk to my very close friends with whom I can share things or may be do something that makes me feel better. Even organizing makeup does that sometimes. 7. Your preferred shopping destination? Ans: I prefer shopping online for makeup, jewellery, accessories and even clothes at times. However, in Islamabad I prefer going to Blue Area or F-10 Markaz for shopping. 8. What does beauty mean to you? Ans: To me beauty is not something external only. Its not just about looking beautiful on the outside. It is much more than that. Real beauty is the inner beauty, beauty of the soul and beauty of the heart. If I talk about external beauty than yes beauty is about being classy, wearing a beautiful smile and being confident about yourself. 9. If one wish was to be granted, what would that be? Ans: We all have so many wishes, don't we? Well if I were granted one wish, I would wish to be stronger than ever, to have the strength that would help me reach where I want to be and make my dreams come true. 10.What is that one thing you cannot live without? 11. Are you a quiet person or a talkative person by nature? Ans: I do talk a lot when am with my friends or with the right people. I have been a good speaker, presenter and host always. However by nature, am not much talkative. I am rather a quiet person and a very good listener. Okay so am done with my answers. Ayesha I must say you jotted down really nice questions and I really enjoyed answering all of these. Thank you once again for the tag Madeeha, Umaima and Ayesha. If I have forgotten anyone else who also tagged me for this post, accept my apologies. Been much busy lately. 2. Tell us one of your guilty pleasures? 3. Your dream place to visit and why? 4. Who is your role model in life? 5. Your favorite international blogger/MUA or Youtube guru? 6. Your top five beauty picks? 8. Any special hidden talents you have? 9. If you could have one super power what would that be? 10. What was the last movie you watched and your thoughts on it? 11. Your biggest achievement in life so far? Hope you like the questions. I will be looking forward to reading your tag posts. 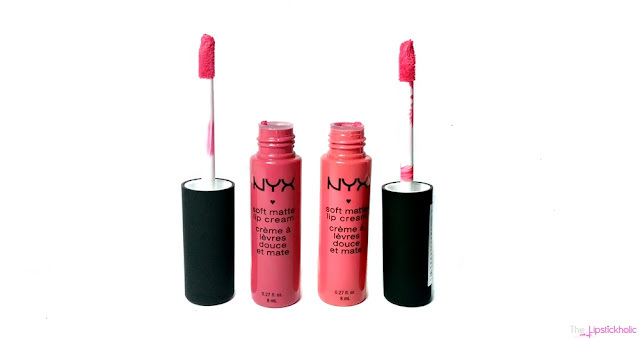 Review: NYX Soft Matte Lip Creams in shades San Paulo and Antwerp...!!! Hope you all are doing great. Liquid lipsticks are all the hype these days and I can't get enough of them. 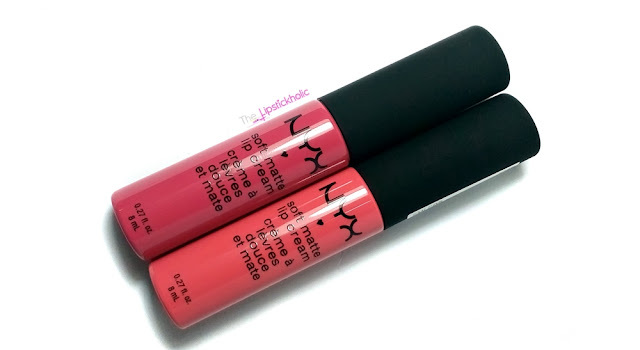 A while ago, I got my hands on the much raved about NYX Soft Matte Lip Creams in two gorgeous shades. I have been wearing these quite often since the day I got these and now is the perfect time to share my thoughts on these. So let's get to the review and see what I have to say about these Soft Matte Lip Creams by NYX. NYX soft matte lip creams are fairly pigmented. The pigmentation is not as good as other liquid lipsticks but it is still good enough and provides almost opaque coverage in just one swipe. These soft matte lip creams have different texture than the rest of the liquid lipsticks I have tried so far. These are rightly named Soft Matte Lip Creams as the texture is very soft, feels creamy and dries to a soft, semi-matte to matte finish. These do not feel drying on the lips and feel extremely comfortable to wear. However, these do have slight tendency to accentuate any dry patches on the lips. Overall, I really like the formula, feel and soft matte finish of these matte lip creams. The staying power of these lip creams is not really remarkable as compared to other liquid lipsticks. Nonetheless, I love these. These lip creams are so comfortable to wear and are non-drying. For the price, I think these lip creams are really good and you should definitely try these out. Price & Availability: NYX Soft Matte Lip Creams are available online at Reforma.pk for Rs 820/- each. Few shades are also available at Daraz.pk for slightly higher price. This fall, Sigma Beauty launched two amazing collections that have totally got me drooling. Last month Sigma Beauty launched Nightlife by Camila Coelho Collection which definitely stole my heart. 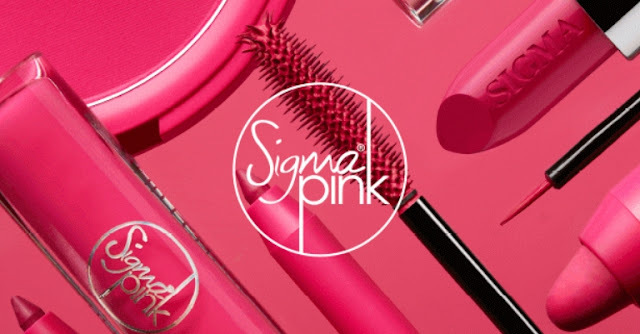 This month, on October 19, Sigma Beauty launched it's largest makeup collection ever named Sigma Pink Collection. This collection comprises of 7 NEW product categories each available in our signature pink shade, plus 36 color extensions. Here is a peek into the collection. 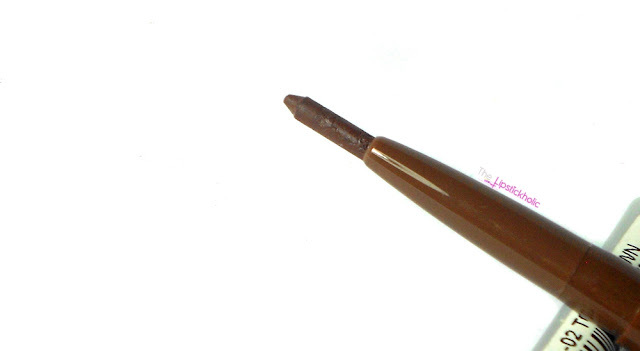 The Lip Eclipse ($17) is a creamy, opaque liquid lipstick that maintains a smooth satin finish. OMG... Lip Crayons by Sigma Beauty. I am so excited for these. 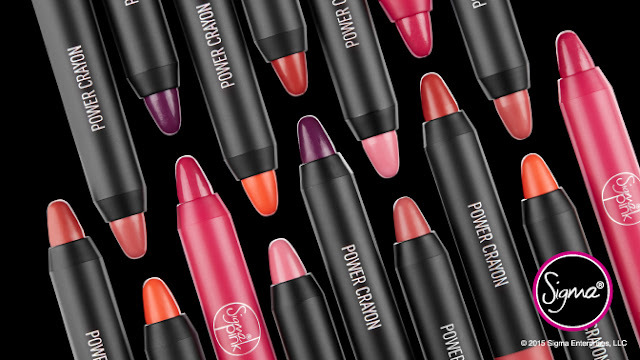 The Power Crayon ($15) is a highly pigment lip crayon that is moisturizing, easy to apply and stays all day. 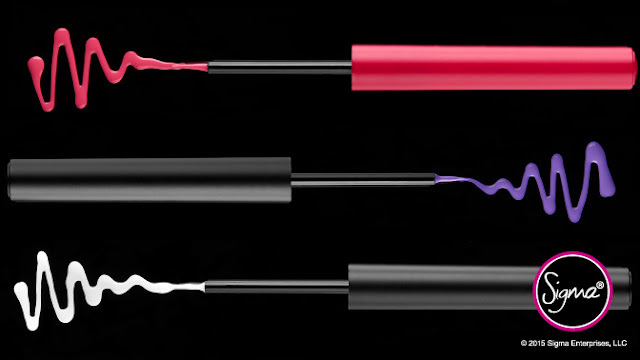 The twist-up Power Liner ($14) goes on smooth and keeps your other lip products at bay. 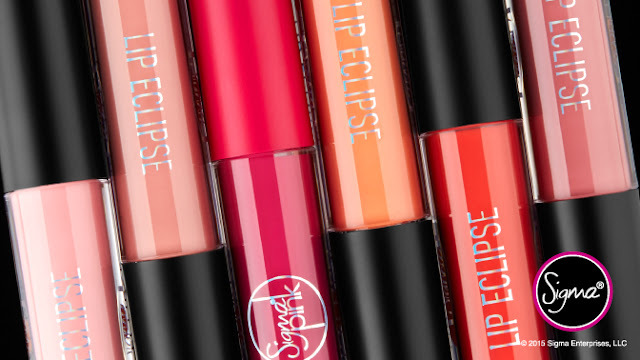 Mix and match with your favorite lip color, or use it all-over for a trendy matte look. smooth with deeply saturated color that lasts all day. 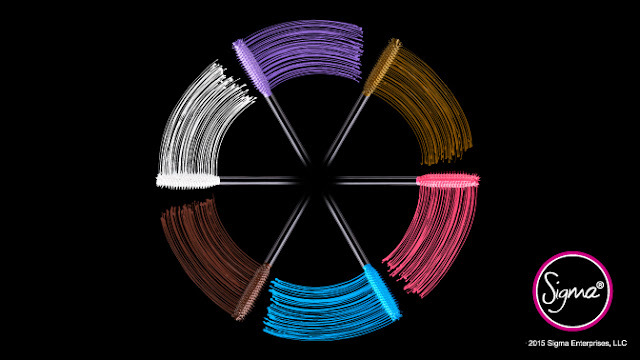 The Embellish Lash Mascara ($19) is long wearing and buildable in bold, eye-popping shades. Another product that has surely made its way to my wishlist. Aura Powder ($19) is a versatile all-over face color. The enhancing powder brings forth dimension of the face, can be layered as a blush or bronzer and also used lightly to warm up the skin or add a subtle highlight. Finally the Power Stick Lipsticks by Sigma Beauty. Being a lipstickholic, I can't wait to try these. 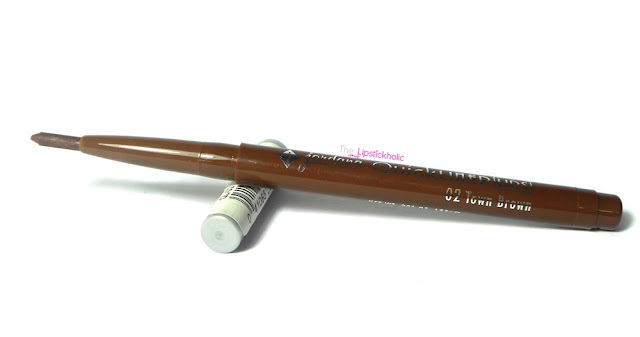 The Power Stick ($25) is your new go-to with a smooth formula and full pigmentation. 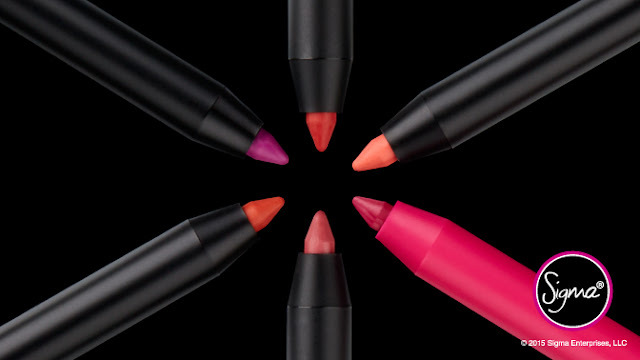 In unique, wearable shades ranging from vivid to neutral, the sleek magnetic tube protects your favorite lipstick and your purse from dreaded mishaps. The Sigma Pink Collection is undoubtedly the biggest and the most colorful launch of the year by Sigma Beauty. Furthermore, Sigma has enlisted this legendary collection in the fight against breast cancer. For every product sold from the signature pink, Sigma Beauty will donate $1 to Breast Cancer Research through October 31. Being a pink lover, I am so looking forward to trying some products from this collection. The aura powders, power crayons and power sticks are surely on top of my wishlist. Can't wait to get my hands on these new amazing products. 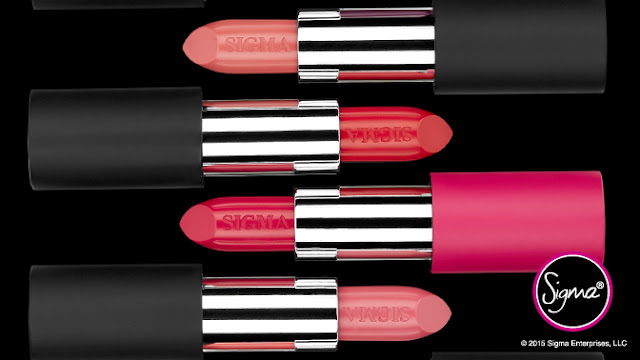 Availability: The Sigma Pink Collection is now available at Sigma Beauty website. All the products in this collection are available individually for purchase. 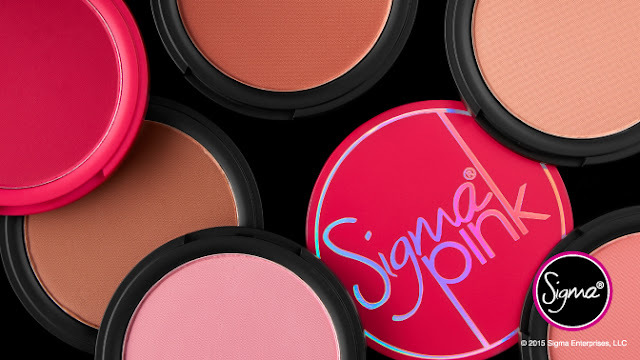 Use code "SIGMAPINK" at checkout to get 10% off your purchase at Sigma Beauty.